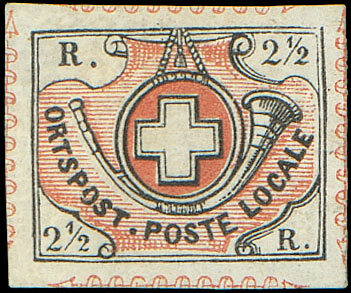 Helvetia Philatelic Society | Founded over 70 years ago, we pride ourselves on being a friendly and welcoming society that exists for the benefit of collectors and students of Swiss stamps and postal history. Beginners and experts alike are welcome to join and participate in our activities. Founded over 70 years ago, we pride ourselves on being a friendly and welcoming society for collectors and students of Swiss stamps and postal history. Our membership is located both in the UK and throughout the world. Beginners and experts alike are welcome to join and participate in our activities. To find out more, click here. Announcement: The forthcoming Whaddon meeting on 9th March will include a session on the identification of Postage Due Stamps led by Bob Medland supported by Werner Gattiker. This is an opportunity to discuss and resolve identification problems commonly encountered with the early issues. The next meeting will be held on Saturday 9th March 2019 commencing at 10.00am at The Three Crowns Southampton Road, Whaddon, Salisbury SP5 3HB. This is an open meeting where members are invited to display any philatelic material with a Swiss connection, including recent acquisitions, from their own collections. It is also a good opportunity to seek opinions about queries and share new research findings. Guests are welcome. Postage Due stamp identification will be be the subject of one session. Please remember to contact Werner Gattiker in advance if planning to attend to facilitate the catering arrangements. For diary information, provisional dates for future meetings in 2019 are June 1 and October 19 . Details about each of the meetings will be published in due course. A successful inaugural meeting organised by Peter Berck was held in October at the Eaton Hotel, 279 Hagley Road in Birmingham. The venue found favour with participants who reported easy access whether by public transport from New Street railway station or by car from the nearby motorway network. A further meeting at this venue is proposed but no date has yet been agreed. Arrangements have been made for this two day event to be held at the Stonehouse Court Hotel, Stonehouse, Gloucestershire on the weekend of 6/7th April 2019. The meeting starts at 10 am on the Saturday and finishes about 4 pm on the Sunday. Richard Donithorn, the Society’s Editor, has produced another extremely useful document listing all Swiss stamps with a subject of Art, Crafts, and/or Designs. Zumstein catalogue numbers are used throughout, and the article will be of particular benefit to thematic collectors. Click here here for more detail. The 7th Edition (September 2015) of Swiss Trial Prints, produced by Derrick Slate, has now been added to the website. Click here for the Swiss Trial Prints Catalogue to view and download the 164-page catalogue for free. A series of informative articles written by HPS member and expert Werner Gattiker. Appearing in the newsletter from 2012 onwards, these help collectors identify and separate those ‘difficult’ stamp issues. For example, the Rayon Issues of 1850-1852 have various ‘types’ derived from the lithograph printing stones use. ‘Type Tables’ for Rayons I, II, and III can be found here on the website. 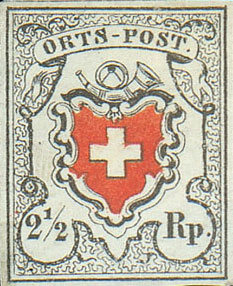 Are you interested in Swiss stamps and postal history? Why not join our Society, and enjoy all the benefits that membership offers. 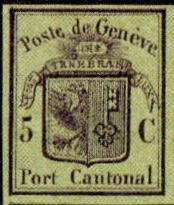 Click on the thumbnails below to find out more about early Swiss stamps. Membership of our Society has many benefits including a monthly newsletter, regional and national meetings, a superb lending library etc.